Beauty and freedom have been the goal of my aesthetic pursuit. Zhang Chaoyang graduated from the Middle School attached to the Central Academy of Fine Arts in Beijing, in 1964. The same year, inspired by Chao Mei’s (q.v.) prints, he voluntarily applied to go to the Great Northern Wilderness region and worked in 853 State Farm until the late 1980s, when he was appointed as a professional artist, and worked in the Heilongjiang Artists’ Association. His early woodcuts reflect his revolutionary passion, but from the late 1970s, his prints gradually discarded the influence of propaganda and began to depict female figures with classical beauty. 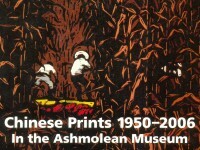 Using water-soluble colour printing techniques, he created rich and subtle tones and made the woodcut comparable to painting. 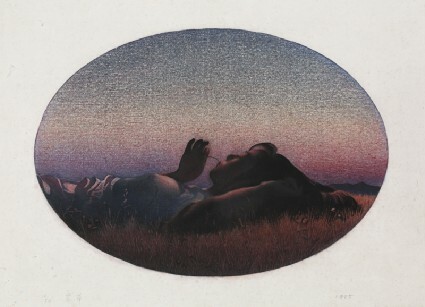 Recently he has used etching to depict nudes, a subject matter he underpins with symbolic meaning.